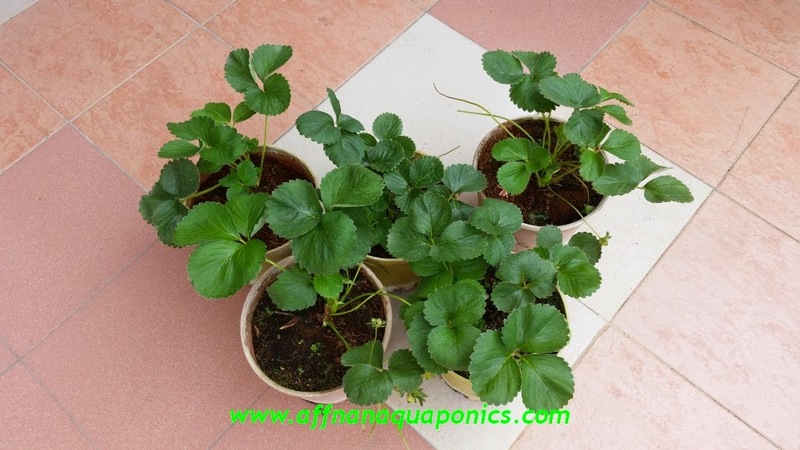 Fresh batch of Strawberry plants to increase the probability of survival of these in the lowland. As usual live plants are from Cameron Highland and they are priced at RM 10.00 per pot. When they sell these, I'm not sure whether these are old or new plants, but they do look "tired"
Placed these plants pot and all directly into the growbed, avoid transplant whole plant onto LECA it will be too much "shock" for these plants to bear. 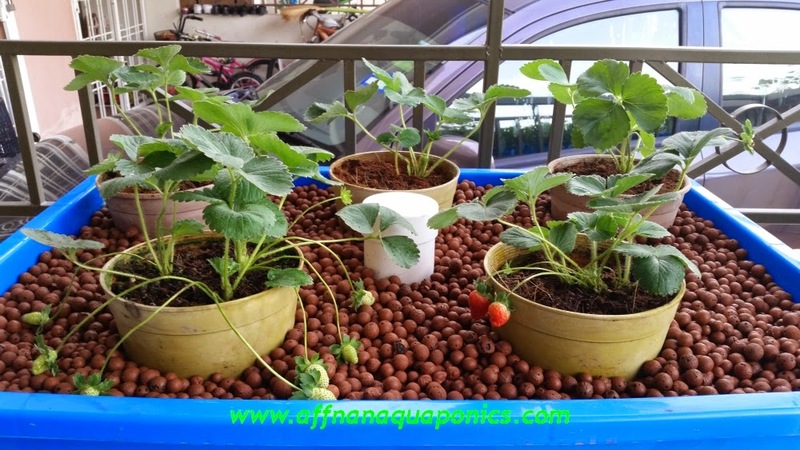 It was transported from a 20 deg C to lowland 35 deg C minimum, and if transplanted immediately into Aquaponics growbed it would be double shock for these plant. 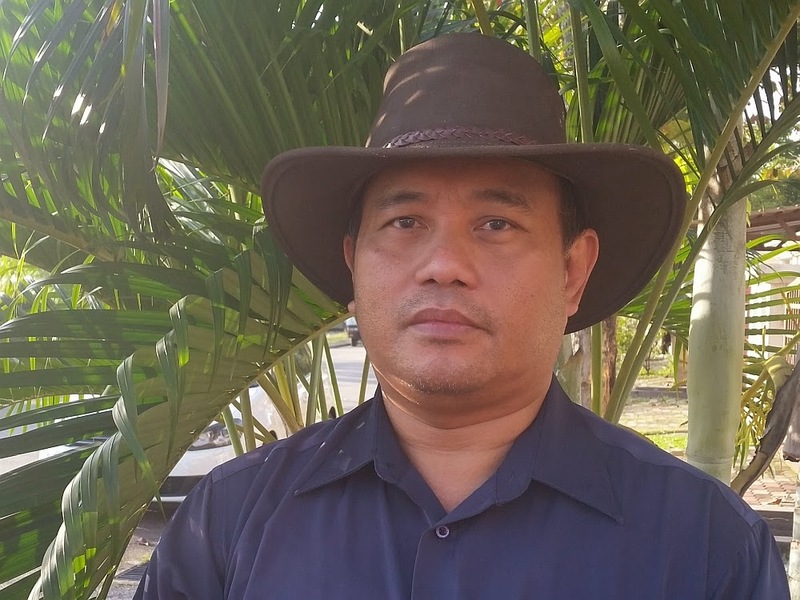 Let it adapt and grow strong, get over the sudden heat shock and finish fruiting. New flower will be clipped and then it will produce runners, those I will use to plant directly onto the growbed. 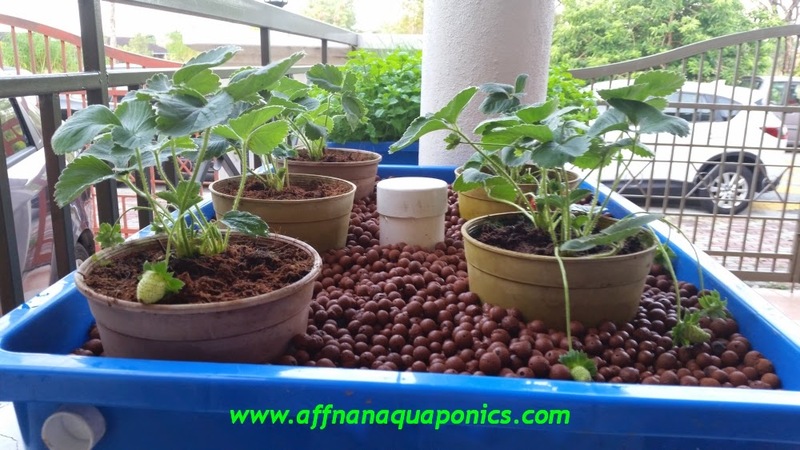 So it is semi Aquaponics or I can say a hybrid setup which use Aquaponics to provide some nutrient and water while the pot provide growing media and basic nutrient. 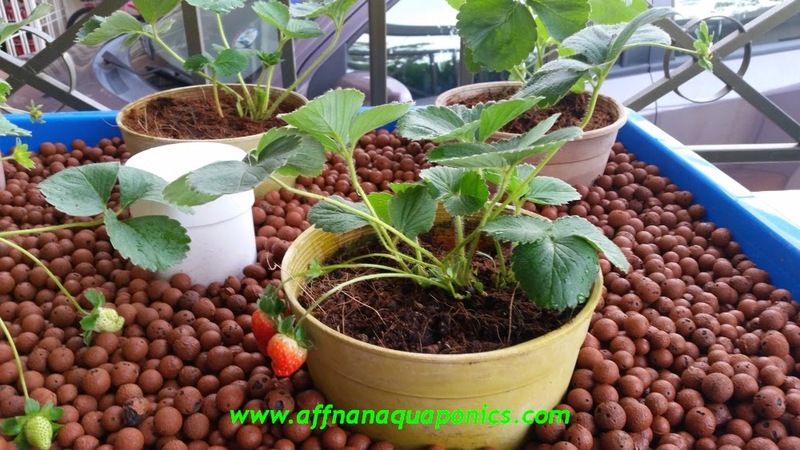 Fertilizer will be added to supplement it growth, this plants is in a close environment so it will not affect my other Aquaponics set which I don't use any. 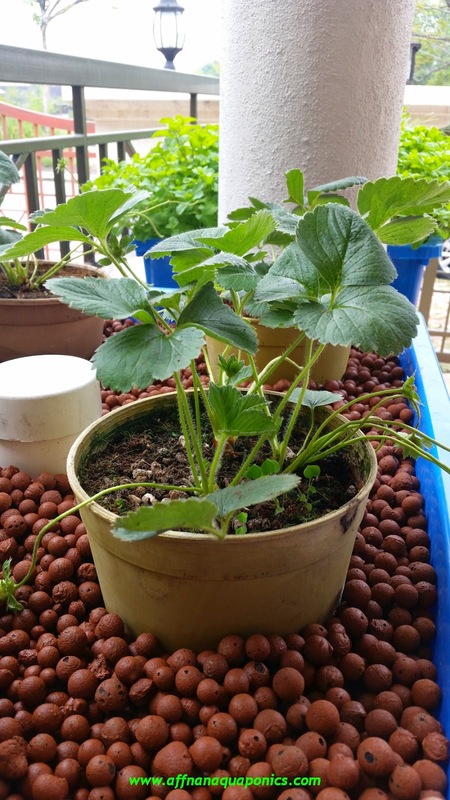 It is necessary to use fertilizer on this trial since I am trying to get it growing in lowland first and then if succeed I will start to try and do it fully aquaponics.